Monday February 13, 2017 from 12:00 p.m. – 1:30 p.m.
Neuroscience research impacts all Canadians. One in three Canadians will be affected by a neurological disorder, injury or psychiatric disease in their lifetime. For the vast majority of the over thousands of conditions that can affect the nervous system, no clear causes or cures are known. Health Canada has estimated the economic burden of neurological and psychiatric conditions to represent 14% of the total burden of disease in this country, which is more than cardiovascular disease or cancer. This problem will be more and more prevalent as life expectancy is increasing and the population is ageing. 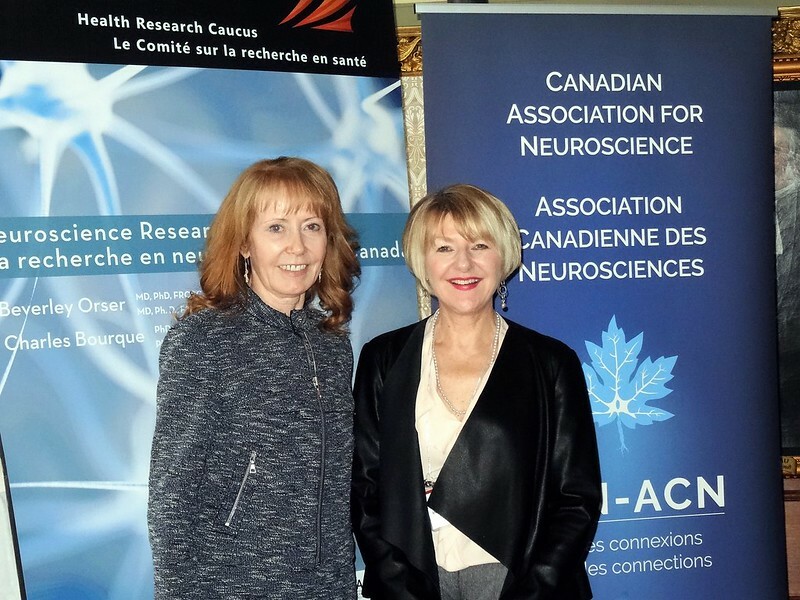 Research Canada, in conjunction with its Member, and the Canadian Association for Neuroscience, will be hosting a luncheon on February 13, 2017 on Parliament Hill for a select group of Parliamentarians that will highlight recent developments which shed new light on the richness of neuroscience research and show great examples of how investments in basic research can and lead to improved treatment strategies for Canadians. The Canadian Association for Neuroscience is a non-profit organization dedicated to the promotion of Neuroscience research in Canada. CAN-ACN is an Association of researchers, students and trainees actively working in Neuroscience research. Our Association represents the interests of Canadian neuroscientists at national and international levels. Dr. Beverley Orser is a clinician-scientist and Professor of Physiology and Anesthesia at the University of Toronto. She is a practicing anesthesiologist and Director of Research, Department of Anesthesia at Sunnybrook Health Science Centre. She will talk about how unveiling the general mechanism by which anaesthetics works can lead to better drug development. She also made very significant contributions to our understanding on how memory is affected by anaesthesia. She is a practicing physician who runs a very successful basic research laboratory. Dr. Bourque is interested in the mechanisms responsible for central detection of circulating sodium, fluid osmolality and core body temperature. His work examines how information detected by thermo- and osmo-sensitive neurons interacts with the brain’s central clock to regulate thirst and vasopressin release. Dr. Bourque’s work also seeks to define how changes in cellular and synaptic properties affect homeostatic function in response to high salt intake and disease states that affect cardiovascular function and/or fluid homeostasis.